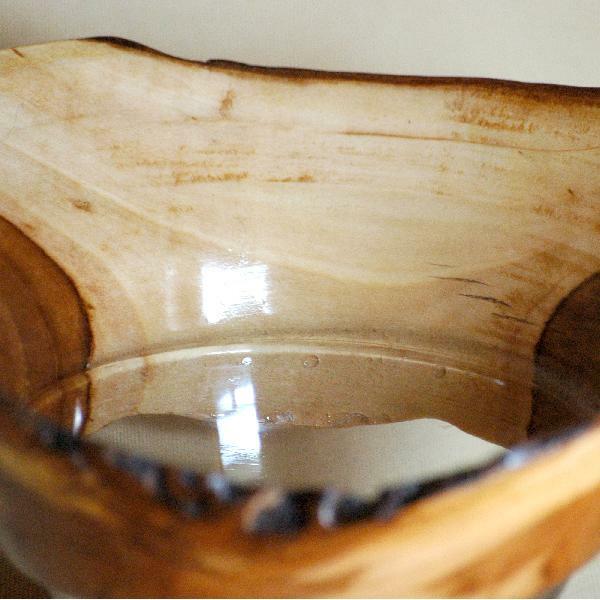 Base of apple wood, glass bowl. A sophisticated vase for the real connoisseurs of handmade items. The glass base is framed with intricate glass rings which accentuate its shape. Useful for storing smaller items. An exclusive gift. A fine interior decoration.